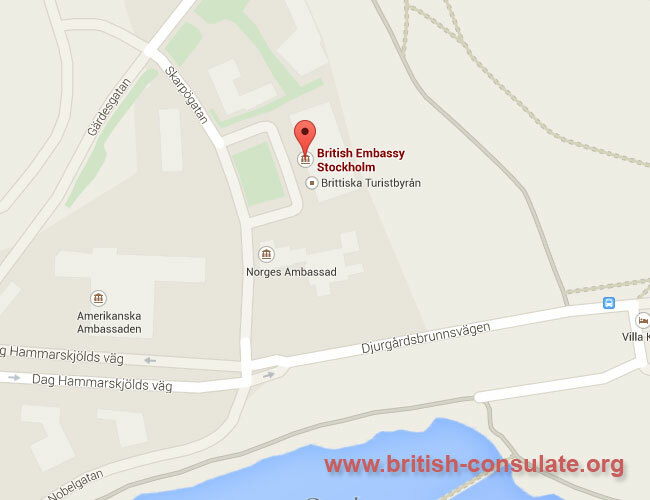 Stockholm is home to the British Embassy in Sweden. We have listed the contact details, address and also their a map the the embassy in Stockholm below. You can ask about a marriage visa, fiancee visa or a visitors visa if you wish to visit the UK. You can also speak to them about registering your marriage, birth of a child or registering a death. Email the embassy to confirm your visit as we have listed their operating hours below. Consular Section is open for visits by appointment only.